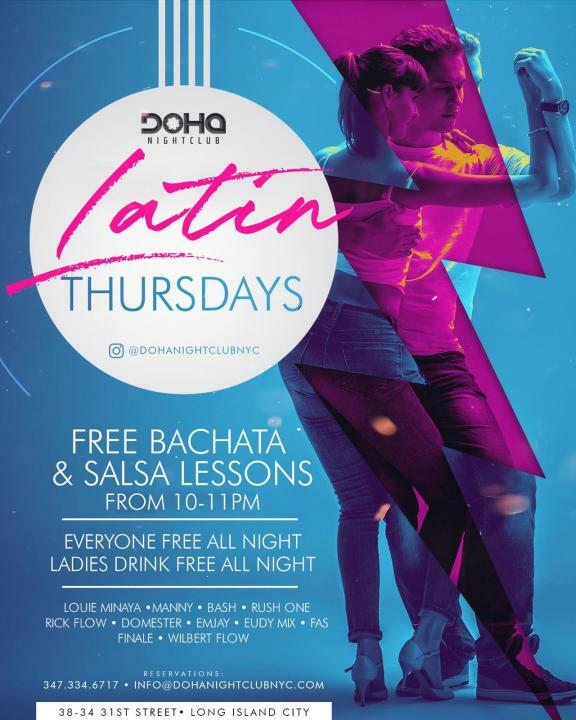 MTS Productions Presents:Free Bachata & Salsa Lessons Each & Every Thursday Night at Doha Nightclub. Every Thursday you’ll receive a free professional 1 full hour long Latin dance lessons + an after party from 10-3am free with each class you take part in. It doesn’t matter if you’ve never danced before or if you’re a pro, this is a fun way to go out, learn something and make new friends. *Free Ticket includes admission 1 hour Latin dance lesson + our after party immediately following.